American Ballet Theatre: Swan Lake - Super Inky! Tonight was so much fun! I went to see American Ballet Theatre perform Swan Lake. It was so beautiful! Violet and I actually saw Swan Lake a little over two years ago, when we were in Ukraine. It was fun to see it again, with a different company. 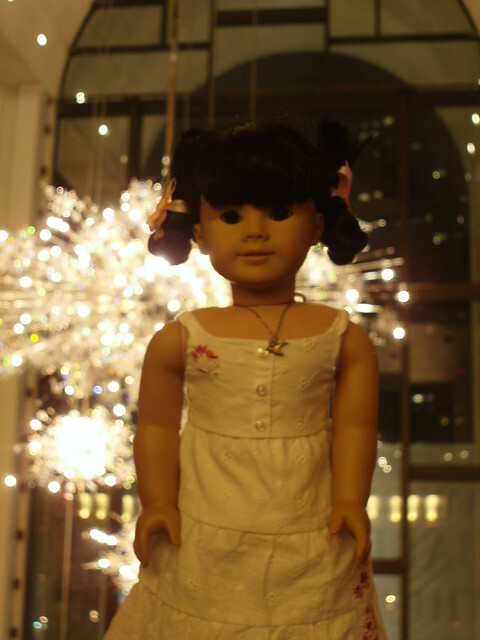 The theatre was so beautiful; we were at the Met! Isn't the chandelier pretty? It reminded me of Sputnik. I love ballet so much. Do you have a favorite type of performance? I love movies and any kind of dance. I have seen the Nutcracker, but not Swan Lake, and not at the Met! That would be amazing!